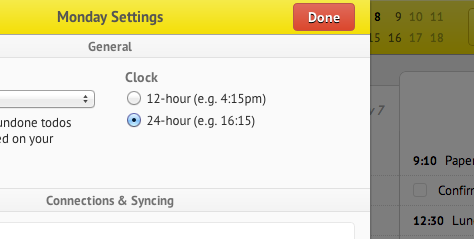 You can now choose whether to see times in 24-hour format (e.g. 15:00) or 12-hour (e.g. 3pm).